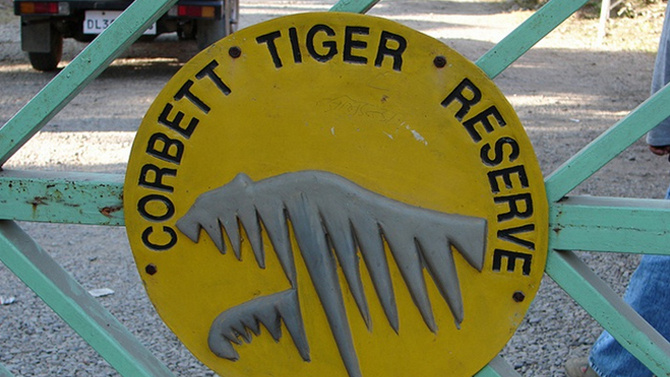 One of the most popular national parks in India, Corbett is the first protected region of India to hold the baton of Project Tiger. Situated in Nainital District of India, the park is home to exotic and endangered species of flora and fauna. A wildlife lover can experience jaw-dropping sites of wilderness amidst picturesque vistas depicting nature’s beauty at its best. The most amazing activity in the park is watching tigers roaming in their natural habitat. Elephant safari, canter safari and jeep safari are the ways to explore the park. Jhirna Zone can be visited during monsoons. Some of the major accommodation options in Corbett are Corbett Leela Vilas, Corbett Nadiya Parao Resort, Corbett Tusker Trail Resort, etc. 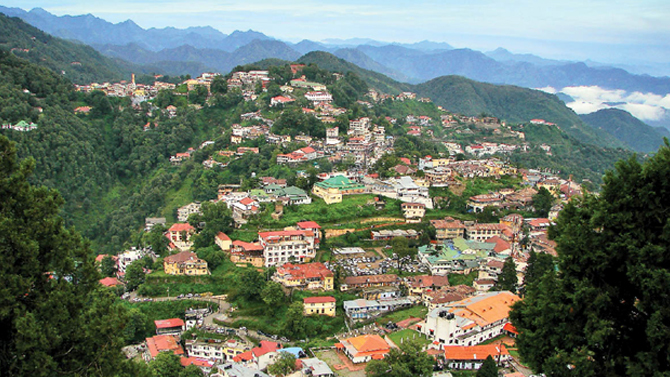 Nestled in the district of Dehradun in Uttarakhand, Mussoorie is located in the foothills of Garhwal Himalayas. The hill station is bequeathed with exotic flora, diverse fauna and rolling verdant hills. This amazing tourist destination offers fascinating vista of snow-laden Himalayas towards northeast direction and glinting Doon Valley in the south. The place is widely famous for its radiant waterfalls among which Kempti Fall is the prominent one. Some of the major accommodation options in Mussoorie are JW Marriott, Jaypee Residency Manor, Fortune The Savoy, etc. MCounted among the most tranquil and untainted hill stations of Uttarakhand, Lansdowne is famous as a tourist attraction since the colonial era in India. 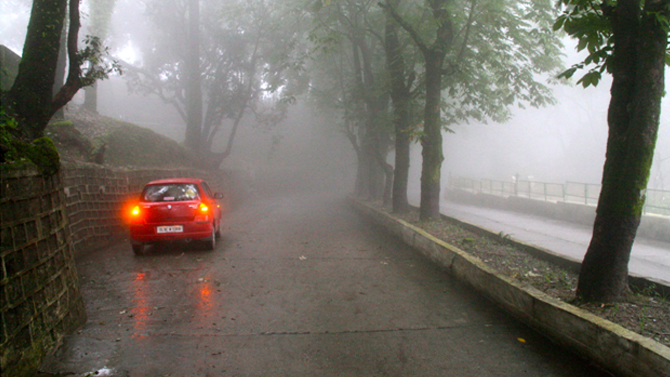 Unlike the other hill stations, Lansdowne is well linked with nearby cities with well-maintained network of roads. It is positioned at an elevation of 1700 meters and it is surrounded with opaque woods of blue pine and oak. 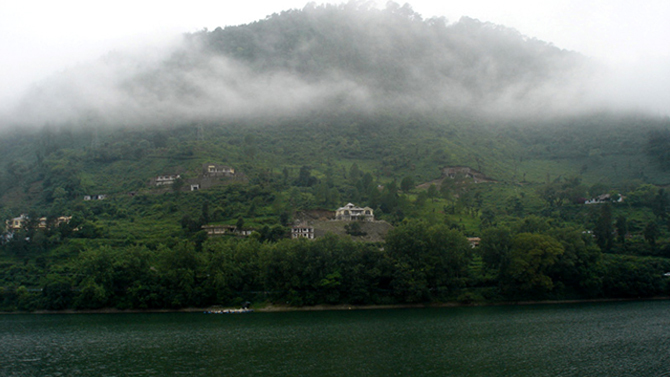 Visiting this hill station in monsoon offers tourists panoramas that are mesmerizing and unparalleled. Some of the major accommodation options in Lansdowne are Lans View Hotel, Blue Pine Resort, Fairydale Resort, etc. Positioned in Kumaon region of Uttarakhand, Almora is also known as Switzerland of India. Teeming with fascinating pulchritude of nature, this hill station offers panoramic vistas of Himalayas. Almora allures the tourists from all over the blue planet to experience the opulence of natural exquisiteness. Fir and pine forests are the special charm of this area and adding to the attraction, Suyal and Koshi rivers render unmatched beauty and serenity to the region. Some of the major accommodation options in Almora are Kalmatia Sangam Himalaya Resort, Imperial Heights, Kasaar Jungle Resorts, etc. 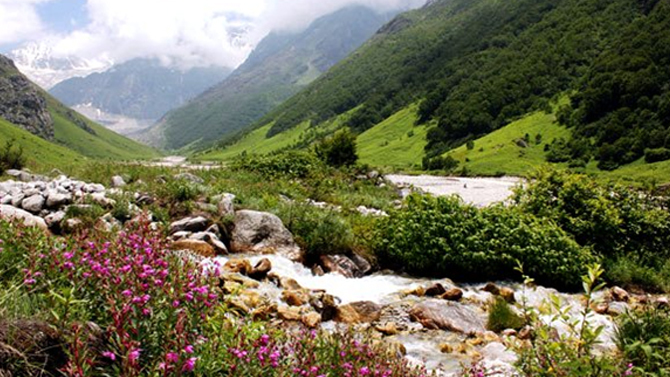 The second core zone of Nanda Devi Biosphere Reserve, Valley of Flowers is nestled in Western Himalayan Region. It is spread in an immense area of 87 square kilometers. Numerous cascading waterfalls enhance the beauty of this area manifolds. Several beautiful flowers blossom in the months of monsoon, which makes the panorama colorful and vibrant. Visiting valley of flowers in monsoon is certainly an experience that can be compared to none. Moreover, it is a national park and UNESCO World Heritage Site as well. The only way to reach valley of flowers is through trekking. It is not permitted to stay in Valley of Flowers and one has to stay in Ghangaria or Govindghat. Hotel Bhagat is the major hotel in Govindghat. Shri Nanda Lokpal Palace, GMVN Ghangharia – Tourist Bungalow, etc. 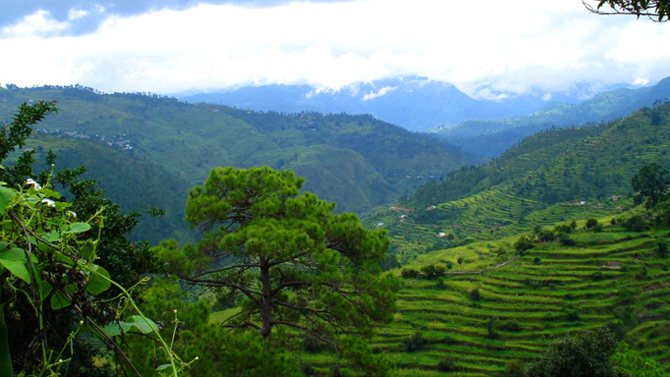 Literally meaning ‘the meadows of the queens’, Ranikhet is a magnificent hill station in Uttarakhand. A natural empyrean, this hill station is famous for its picturesque natural beauty and serenity. Fascinating sights of Himalayan Ranges draw the attraction of tourists who come here from all around the world. To decipher the nature’s bounty and get an escape from hustle and bustle of city life, Ranikhet is a place simply second to none. Some of the major accommodation options in Ranikhet are Woodsvilla Resort, West View, Queen’s Meadow, etc. Holding a profound reverence among the Hindus, Haridwar is a place of sheer spiritual significance. 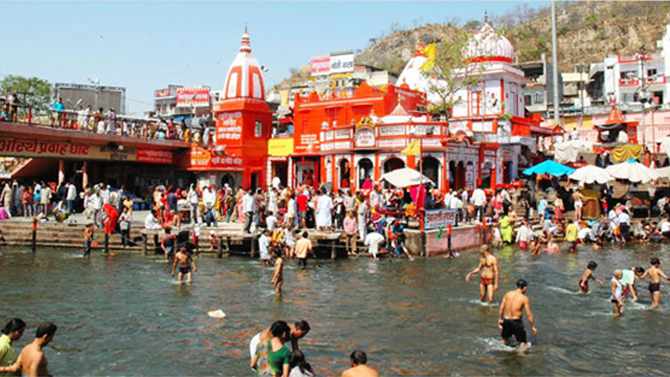 It is said that taking a dip in holy Ganga water in Haridwar makes the person free from all the sins and wrongdoings. Thus, scores of tourists from all over the world come here to plunge into holiness and spirituality. There are lots of beautiful and ancient temples situated in the city. Sandhya Aarti at Har Ki Pauri is the major attraction of this beautiful place. Monsoon is the time when the clouds and greenery collectively create a landscape that gratifies the tourists like never else throughout the year. Hence, why to wait? Embark on any of above-mentioned destinations and relish the drizzles like never before.